Kitchens built around whispers of barely-there color are calming and tranquil, keeping spirits high and--dare we hope--even promoting family harmony. Stained woods and washes of color create a signature look, whether you opt for an ultra-light or a more saturated hue. 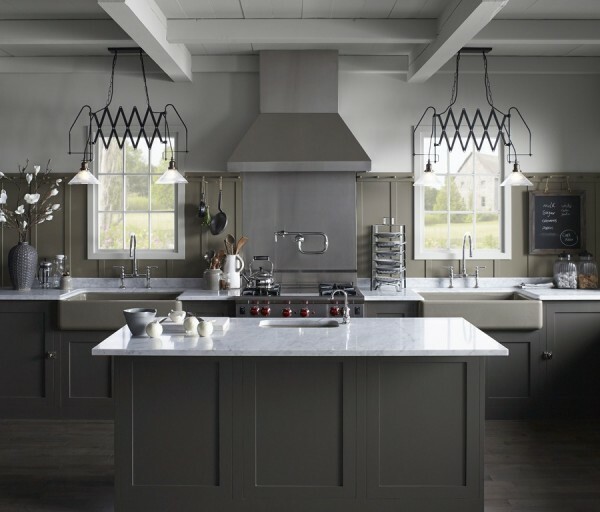 Classic farmhouse kitchens, with their familiar forms, never go out of style. Or, if you’re going for all-out glamour, opt for a soft blush palette, floor-to-ceiling palladian windows and plenty of shimmering accents. The modern farmhouse is a comforting trend that takes cues from the past and streamlines them for today’s farm-to-table cook. Apron-front sinks reflect a hard-working history, while furniture-style cabinetry in muted greys creates a serene workspace. Polished chrome and classic marble add visual interest at the countertop level. Layer paint colors to add depth and interest to a simply designed space. Use simple, rustic touches like pegged wainscoting and schoolhouse-style lighting to make a farmhouse kitchen more authentic. Choose a bridge faucet with a high-arching gooseneck to make cleaning large pots easy in the large, single-bowl farmhouse sink. Love this trend? 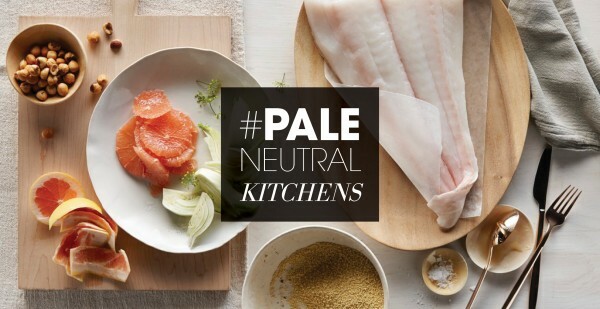 Explore the Farmhouse Neutrals Kitchen moodboard. Designers are using clean lines and barely-there neutrals in a quest for simpler spaces. Mixed textures, whitewashed woods, and open shelving create quietly elegant rooms where architectural details and glamorous lighting add intimacy. The simple forms and elegant good looks of the sinks and faucets in this kitchen disguise their efficiency, making this space as hardworking as it is drop-dead gorgeous. Choose a pale paint color that changes with the light to lend intrigue and glamour to even the most utilitarian spaces. To punctuate a neutral space with color, choose cast-iron sinks in a rich hue that complements the overall room shades and provides eye-catching interest. Add sparkle sparingly, via a shimmering chandelier and faucets in a polished chrome finish. Love this trend? Explore our Hollywood Hills Kitchen moodboard.